What’s a Thanksgiving dinner without rolls?? 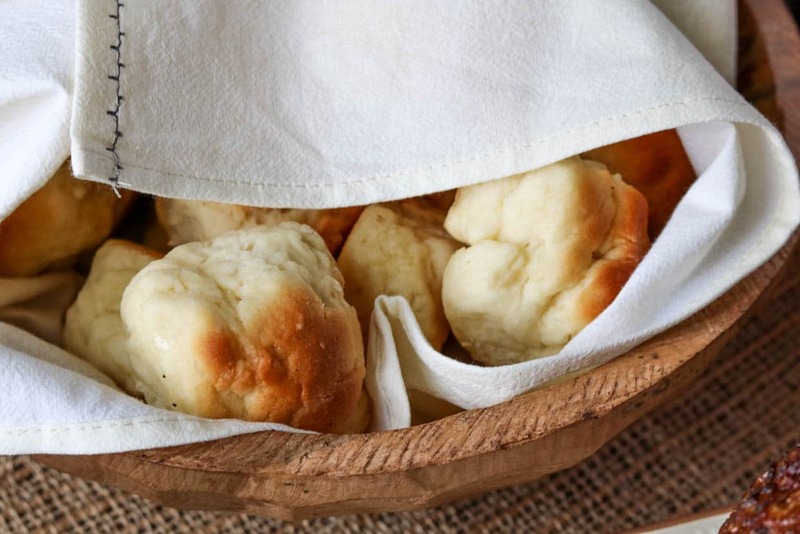 I wanted to share a gluten-free dinner roll recipe for my fellow gluten-free people. When I first transitioned to gluten-free I was afraid I would miss all of my favorite breads. That’s why I’ve made it my mission to find gluten-free alternatives to some of my favorite foods. 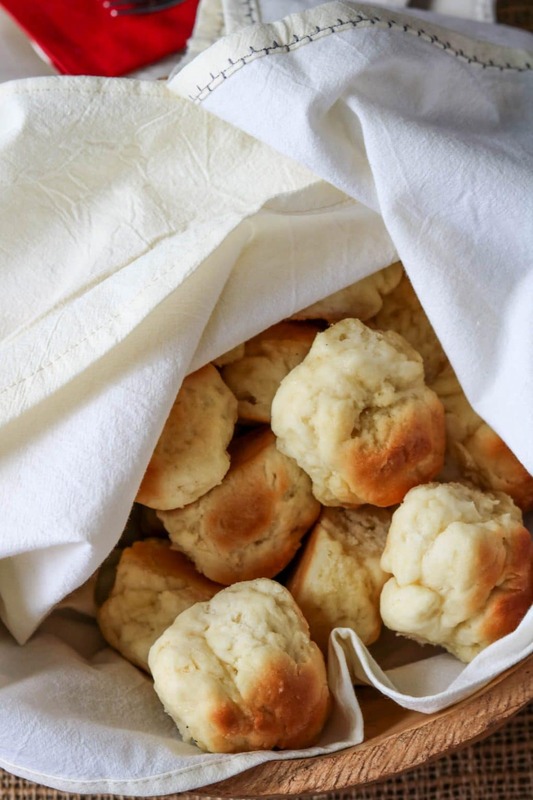 I have always loved dinner rolls, in fact they might be my favorite part of a holiday meal. Okay, maybe not, or maybe so, that’s how much I LOVE my carbs! 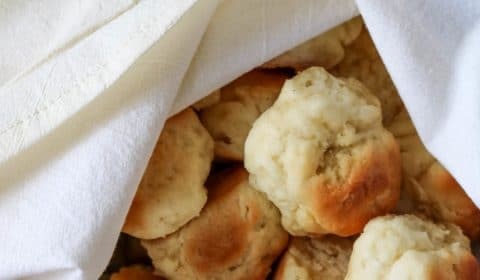 These gluten-free dinner rolls are sweet, just like you’re favorite sweet roll and they’re also dense, almost like a biscuit. I started to call these gluten-free dinner biscuits but then that really wouldn’t make sense. Just know that these have a more dense texture than traditional dinner rolls. One thing I’ve learned since going gluten-free is that things aren’t always going to match up exactly to their gluten-filled predecessor, and that’s okay. This was also my first time making homemade rolls from scratch. Whew, that was a little stressful. But I was bound and determined to make these work. Slap some warm butter on these, maybe even some apple or pumpkin butter and mhmm, so good. You will need to allow time for the dough to first refrigerate, then rise. Out of all of my Thanksgiving recipes I’ll be sharing in the meal plan these might be one of the more complicated. Just being honest so you can fully prepare. As part of the meal plan and shopping list I’m going to provide a brief timeline for when to cook each item to help with a smooth transition. Hopefully you’ll find that helpful. In a large bowl, combine yeast and warm water and let stand for 5 minutes. Whisk in eggs, butter, sugar and salt. Slowly add in flour, 1 cup at a time, and hand mix. Mix with your hands at the end if needed. Add a small amount of flour to a sheet of parchment paper and place dough onto floured surface. Lightly flour your hands, then divide the dough into 24 equal pieces. Roll each piece into a ball and place into the greased 9×12 baking pan. Cover pan with a towel and set in a warm area to rise. Let rise for 2 hours or until at least doubled in size. Brush the tops of each roll with melted butter just prior to serving.